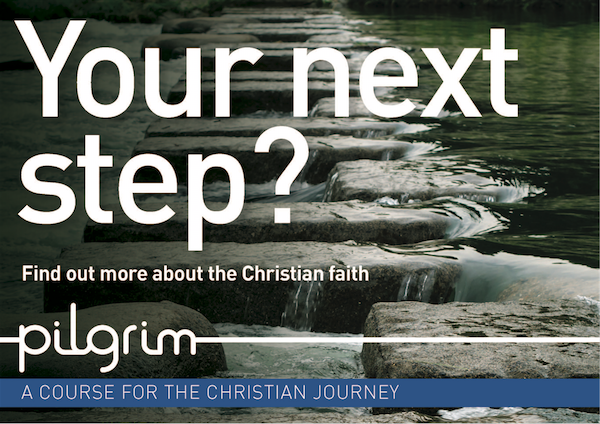 In 2015 we began using the Church of England’s new Pilgrim course for small groups. For many people, especially those relatively new to church, small discussion groups are where their faith can really come alive and where they can find fellowship. Those who have been church-goers for many years also need opportunities to refresh faith and deepen discipleship. The Ten Commandments The next Pilgrim Course we are running is on the Ten Commandments, on Wednesdays 8pm-9:30pm, beginning 2 November. We’ll spend an hour and a half each week over a cup of tea watching a video, talking about a passage from the Bible, and chatting informally about the issues raised. Please be in touch with the Vicar, Russell, to find out more, or to book a place (£10 for the whole course to cover the course book and refreshments, payable at the first session). This course is suitable for those who are just exploring Christian faith for the first time, and perhaps aren’t sure what they believe. It is the ideal first step for those who are considering baptism and/or confirmation as an adult. It will also be very interesting for people who want a refresher course of some of the basics.